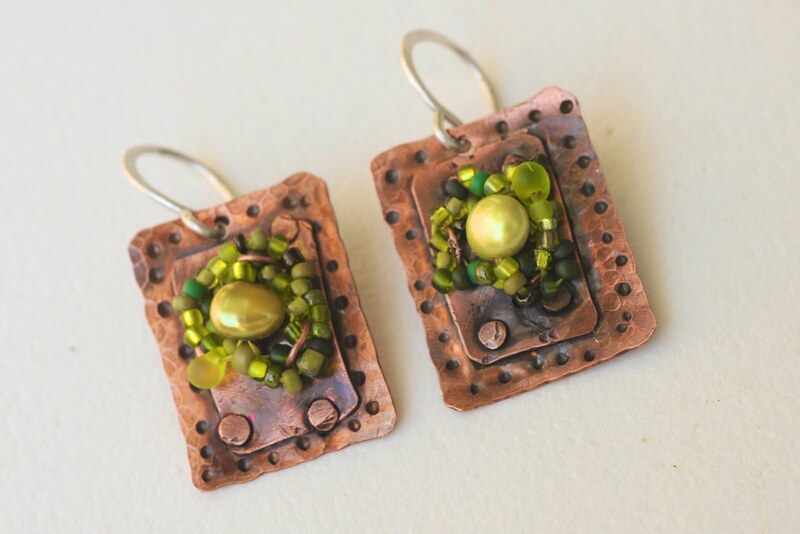 I had attempted to make a bracelet with about 6 of these copper beaded plates but it was so difficult to make them that I gave up for the moment and made earrings out of the four that worked. The previous post shows a pair with brown beads. I adore these. They are, of course, from Beverly Ash-Gilbert's workshop I took a few weeks ago.